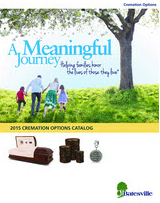 Our firm offers a wide selection of Batesville caskets and urns. There are many colors, styles and price ranges to meet the needs and wants of our families. We believe strongly in personalization, and offer many ways to help personalize and memorialize your loved ones service.